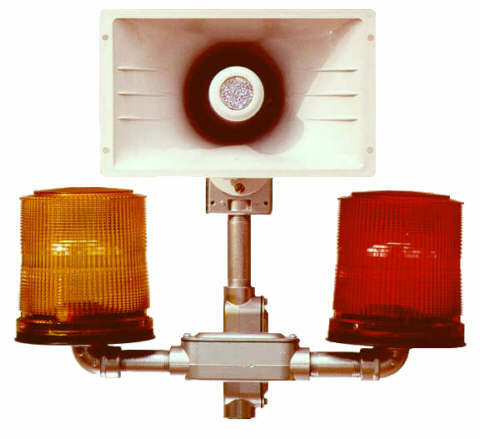 The Model 202 Series System is a plural Audible and Visual Warning Alarm System used to prevent tank spills by warning personnel of potentially dangerous situations. The standard system has two (2) audible and two (2) visual warning signals. Consult factory for other options including three (3) audible and three (3) visual alarms, a battery back-up system, loss of AC power alarm, and alarm acknowledge.